Short Version: Ran a new 10k with a new PR of 46:41. A 2:01 improvement! Yahoo! 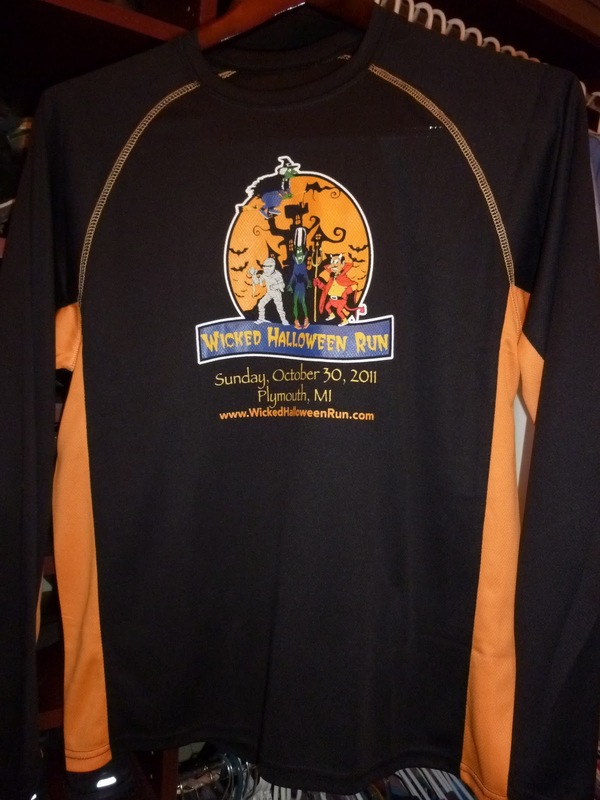 Yesterday I raced the Wicked Halloween 10k race. 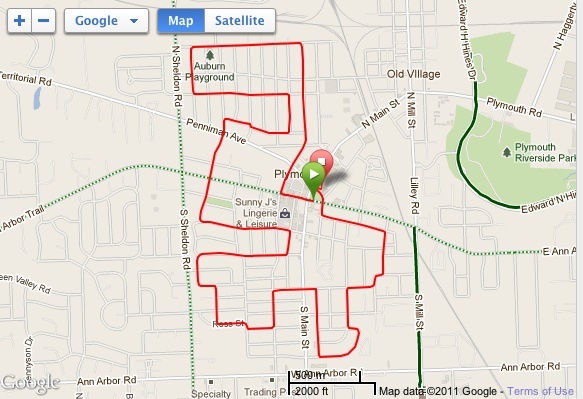 This was a race in Plymouth, Michigan that started and finished in downtown Plymouth. 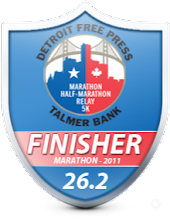 This is not around the corner from me but it looked like a fun race and since I decided to skip the Detroit Turkey Trot this year, I went to this race instead. It was an early start to the morning as I had to get up at 5:30am to get ready. I did my usual race routine including bathroom, eating, foam rolling and headed off. It took me about an hour to get there which really is a long way for a 10k race but it was worth the drive. A really great looking shirt and I like the fact that there are two colors on the shirt. 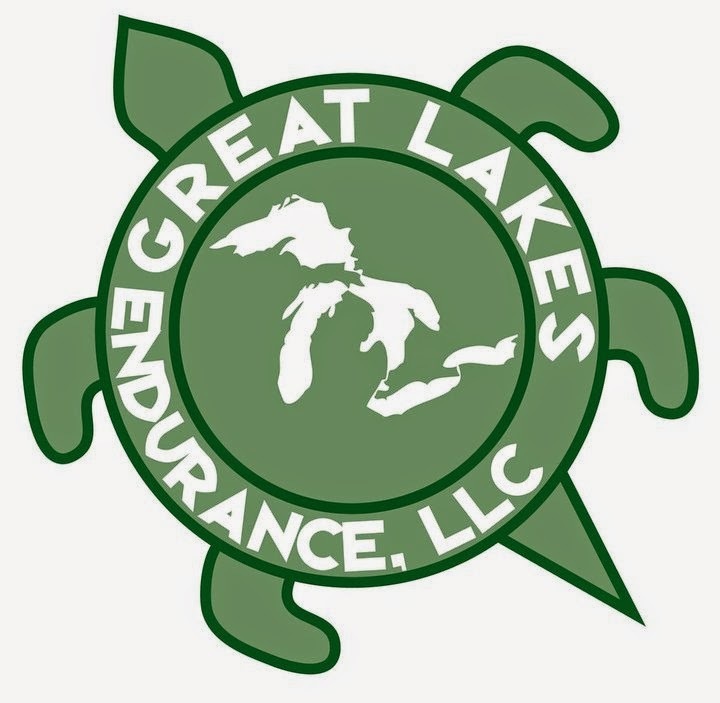 Great logo design as well in my opinion. I was able to get a parking spot just a block from the start line which was nice so I took the shirt back and waited until closer to the race. It was FREEZING outside! The temps were in the low 30's. I think it was colder for this race than the Turkey Trot last year. Once it got closer to start time, I headed back to the race and waited in line for the port-o-potties. That was also really quick as well. There were tons of people that were dressed up for Halloween as I expected. I went as a runner. Ha! No costume for me. I got to see one of the guys I went to school with at Central Michigan so we got a picture before the race. He was there with his wife and daughter. That would be me, Megan, Ryan, Runnersis and Runnerbro! national anthem and we were off! The first 1/2 mile was LOTS of weaving in and out of people. I was shooting for a PR on the 10k which was difficult but was able to do a 7:19 first mile even with the crowd. After that the crowd thinned out pretty well and I didn't have to run around people anymore but still continued to pass quite a few people. I saw Meagan's husband in front and tried to keep up with him but after about 2 miles, I lost him. Dang, he is fast!! Because it was so cold outside, I really did not warm up until mile 3. My hands and feet were freezing until then but I was able to keep a pretty decent pace throughout the race. I was really worried about all the turns on the course but when we got out there, it was not bad at all and really enjoyed it. Coming back at the end of the race, there were people cheering you on at both sides of the street which was nice for the finish. There were also some residents out cheering us on as well during the race. At the finish, you went through the finish shoot and there were volunteers there to give you your medal and direct you towards the food. Sweet medal! I was really happy with my time given the fact that I just ran a marathon 2 weeks ago. Check out my splits. Yes, I like to call myself Mr. 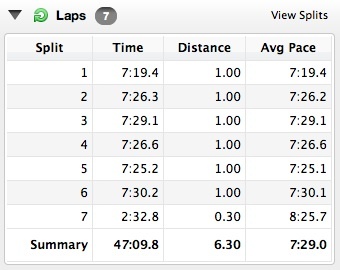 Consistency...well...except for forgetting to shut off the Garmin at the end - Crap. Candy - can't go wrong for a Halloween race! Overall, I felt the race was very well organized. 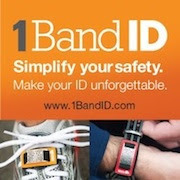 It's put on by the same people that did the Solstice 10 miler so I figured it would be well organized. There was 1,150 10k runners registered(but results for 1,264 so they must have added more) for this inaugural race. Amazing! After the finish, I was also able to find Rose from Hacker Half marathon and get a picture with her, Megan and Ryan too. Rose, Megan AND Ryan had a PR today to so go congratulate them! Me, Ryan, Megan and Rose - The 10k PR team! I also looked and looked and looked but I could not find Ken from Eastside Stony Creek TNT Coach. I'm sure he was there but could not find him before or after the race. Overall, I was very happy with my race and a new PR for the 10k. Yeah! 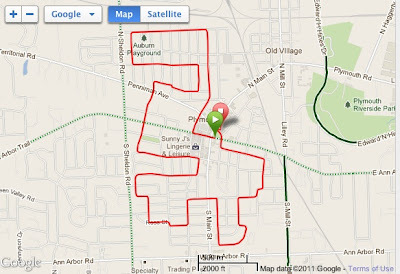 Of course, I'm a complete idiot for not turning off my Garmin at the end of the race. What's the point of the Garmin if you can't remember to turn the damn thing off! I agree about the hour drive being worth it. This race was so fun. The first mile was definitely crowded. I felt like I lined up properly, but not only did I see you buzz past me, but i must have passed a dozen walkers, so maybe not. Ha! Wow, that's an awesome medal! Congrats on the PR. I agree, you'll be under 45min in no time. Great job congrats, the 5k was fun too! Jeff, I was performing my Start Line duties and saw tons of friends. You must have been on the right side of the huge crowd. Froze my arse off standing around but it was worth it. Excellent job, Jeff! Congrats on setting a PR, especially by over two minutes! 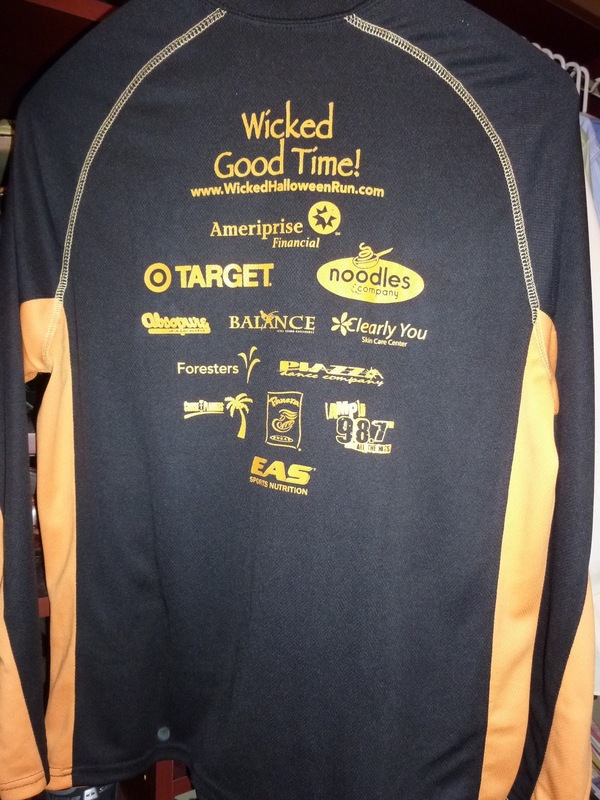 Sounds like a great event, and the race shirt looks great. Congratulations on a great PR! Looks like a really good race. I love it when they have good shirts and goodies for a 10km. Congrats on your PR! Sounds like a great race - I love the race shirt! Sweet PR and a nice medal as well. But holy cr@p, they have medals for everything now. Congrats on your new PR! What a great race, eh? Pretty organized, nice shirts and medals. It was really great to finally meet you, too! We must get a picture next time - I didn't want to stay too long in the start corral because all of you awesome 10k runners were about to take off. Hope to meet up again soon! Awesome job, I love the shirt, you really earned your candy! Amy - It would have been nice to meet you. I would have looked for you! Ken - sorry i missed you. I was on the right side. Jamoosh - you are correct. I've never got one for a 10k. This was the first. Megan - Nice to meet you too. I'm sure we will be at races next year - with you new little one! This was my last race this year. So I have to admit that I've never actually run a 10k, but it seems like a tech shirt and a medal = awesome swag for such an event. Is this normal? Congrats on a great PR!! Congrats on the PR - and what a great race... cool medal, great shirt and awesome food! What more can you ask for?